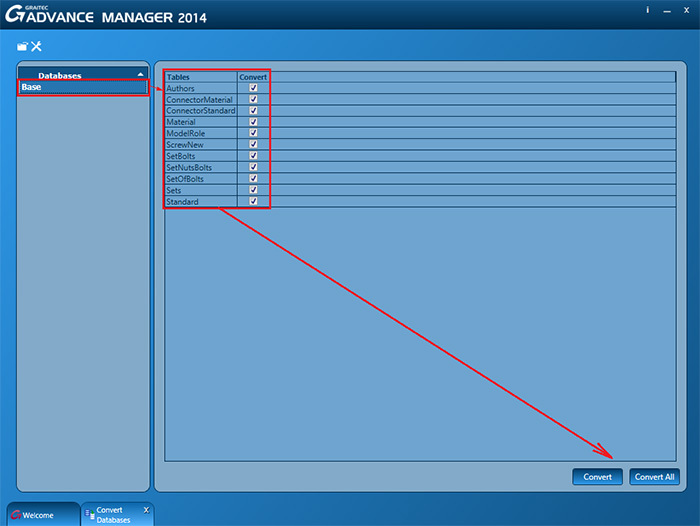 How are user settings migrated from Advance Steel 2013 to Advance Steel 2014? C:\ProgramData\Graitec\Advance Steel\2013\User2\Data, to the equivalent folder in Advance Steel 2014, C:\ProgramData\Graitec\Advance Steel\2014\User2\Data. - AstorSettings: modifications done to the default values. - Use Open database button and then select the old version of the database (for example the AstorGratings.mdb from Advance Steel 2013, located in C:\ProgramData\Graitec\Advance Steel\2013\Steel\Data). 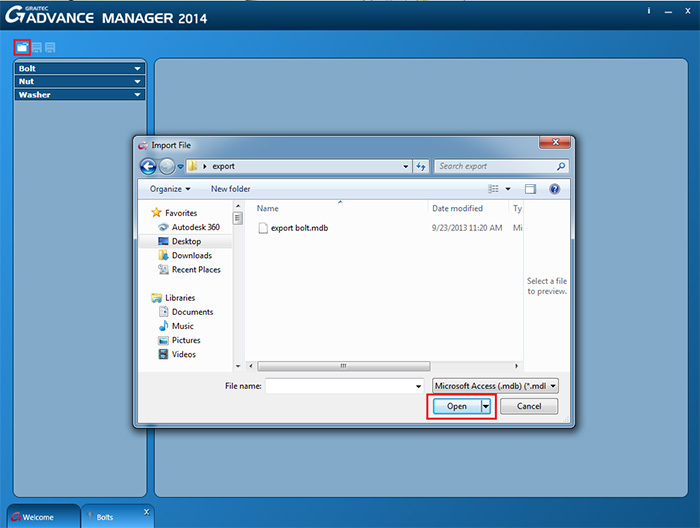 The convert tool will know automatically the equivalent AS 2014 database to which the merge is done. -	After the database is evaluated, in the Databases section of the dialog (left side) we'll get a list of the valid mergable tables. Clicking on the name we'll display us a list of tables that are up for merge. -	To complete the merge, press Convert (if only some tables are are required for merge by the user) or Convert All (to convert all the tables). • Press Import and select the GAM 2013 exported .mdb file. 4. Support dwg files like Prototypes, BoM on Drawing templates, Standard part template files and Symbol dwg files can be simply moved from their Advance Steel 2013 folder to the equivalent Advance Steel 2014 folder. Note: even if an older file is recognized by Advance Steel 2014, it is recommended to convert the files to the newer version before using them, to save the time that Advance Steel would require to convert them every time it is accessed or used. For example, during detailing, Advance Steel would require to convert the prototype each time it creates a drawing, leading to a speed decrease for the detailing operation. 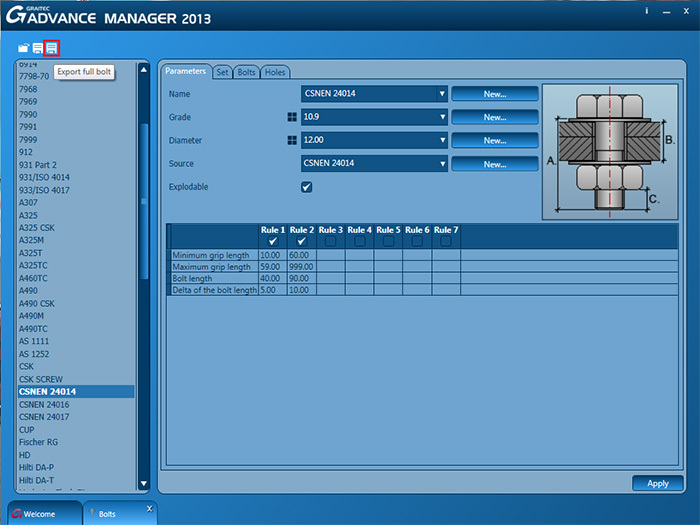 - Copy the dwg file to the Advance Steel 2014 path. AS 2013 custom connections are stored in the following path: C:\ProgramData\Graitec\Advance Steel\2013\Shared\ConnectionTemplates. 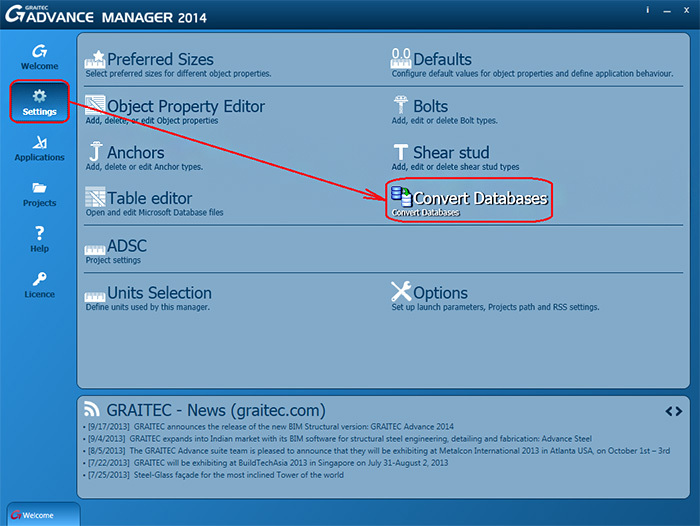 - Open the file and convert it with Advance Steel 2014 to the new version. The file is converted to the new version by using the steps mentioned in point 4. In addition to the convert, there are extra steps required to edit the custom connection support dwg to make it valid for the 2014 version.